Skullcap is an excellent nervine used to diminish almost any intermittent pain from spinal or peripheral nerve irritability that does not stem from organic causes. Skullcap was very useful to the general public before the time of pharmaceutical tranquilizers. In the early 20th century when sedative drugs came on to the market the medical establishment went to great lengths to discredit Skullcap by using its traditional claim to be able to cure the madness of rabies as the rope to hang it by. Noteworthy: What is the difference between American skullcap and Chinese skullcap? American skullcap acts on the nervous system as an antispasmodic. It also has significant antioxidant effects that may help protect against neurological disorders, such as Alzheimer's disease, Parkinson's disease, anxiety, and depression. Most of the studies done on skullcap have examined Chinese skullcap. It has been used in traditional Chinese medicine to treat allergies, respiratory infections, inflammation, cancer, and headaches and it may also have antifungal and antiviral effects. Here, we offer American skullcap in the tincture form. American skullcap is one of the best nervines known. 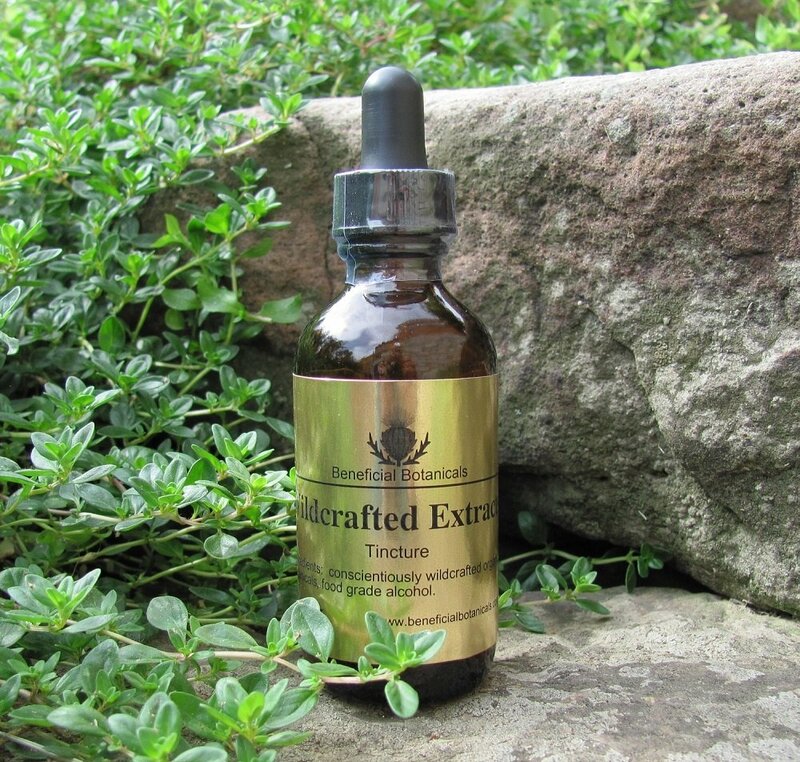 The tincture provides a deep refreshing sleep without hang overs, helpful for insomnia. Also used for delirium tremens, convulsions, epilepsy, shaking palsy, hysteria, nervous headache, myalgia, rheumatism, or neuralgia from spinal or peripheral nerve irritability without organic causes. The plant tincture has also been used for rabies, hence the name “mad dog skullcap”. It may be used as a treatment for the nerve pain associated with shingles and herpes. Analgesic for Nerve Pain : 30 - 40 drops three to four times a day until symptoms subside. Insomnia / Sedative : 20 - 30 drops in a cup of warm water right before bedtime. Shingles and Herpes Nerve Pain : 20 - 30 drops three to four times a day until symptoms subside. Epileptic Seizures : 40 drops during the aura phase of epilepsy may prevent a seizure. 40 drops in warm water before bedtime may prevent petit mal seizures while sleeping. Because Skullcap may promote suppressed menses, do not take this tincture if you are pregnant, breast feeding or planning to become pregnant. Be aware that both American skullcap and Chinese skullcap can dangerously increase the effect of drugs that have a sedating effect. These drugs include anticonvulsants, barbiturates, benzodiazepines, drugs to treat insomnia, and tricyclic antidepressants. Do not drink alcoholic beverages while taking Skullcap tincture. Combining Skullcap with other herbal tinctures that have sedating effects such as valerian, kava, and catnip, should be done with caution and under the direction of an experienced herbalist or healthcare practitioner.